Print & Apply Labeling allows for the addition of late stage production data or product identification information to a label just prior to that label being applied to either a product or a product package. 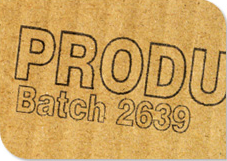 Print & Apply Labeling is most often associated with the identification of shipping containers such as cartons or cases. 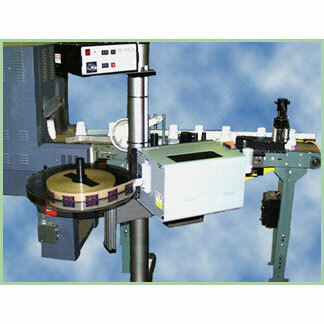 But “print & apply” capability can be added to almost any type of labeler. 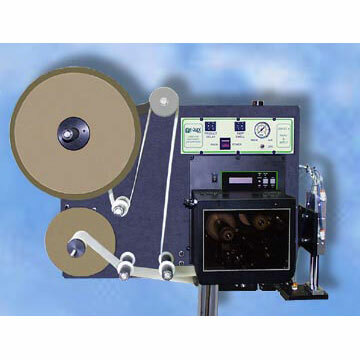 Printers of various types and technologies and be added to labelers with a wide range of applicator types necessary to apply labels to different shapes and sizes of products and packages. In the case of shipping cartons the cost effective solution for product identification when using blank cartons is to place a label onto the package to identify its unique contents. Such labels can be printed immediately prior to being applied and thus can be made unique to each carton to enable full tracking or individual identification of each unit. 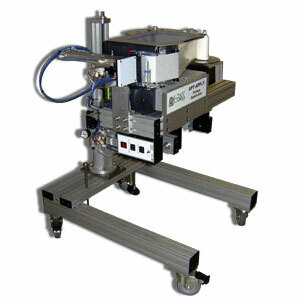 In-line and off-line print & apply systems with various application capability. What is a Print & Apply Labeler and is it what you need? Print & Apply Labeling takes many forms. 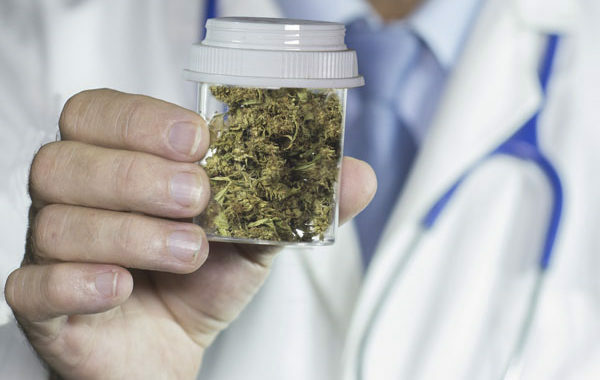 They specific approach to solving this type of need for late stage information depends on the amount of information to be printed (simple lot and expiration information, ingredients lists, or full shipping and tracking information) and the product or package style and shape to which the label is being attached. At Griffin-Rutgers we understand these problems because we have over 30 years of labeling system experience. Call and tell one of our engineers about the package or item you need to label and the information you need to print and we will help you find the best system for your need and your budget. Please review the articles below for news about various types of print & apply labeling applications. 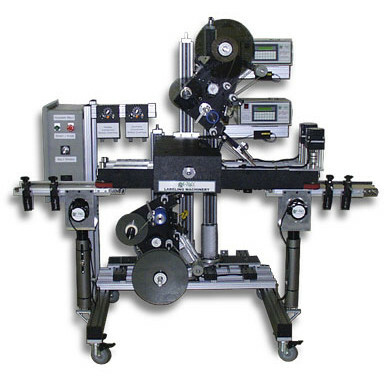 If you have questions about the best system for your print & apply labeling need, call Griffin-Rutgers and allow us to apply our 50 years of experience to help you find a solution to your specific need. Labels for glass bottles abound amid a wide range of applications, including beer and wine bottles, food jars, beverage bottles and storage bottles. These often require variable data and may need to have numerous colors and sizes with unique designs and specific printing needs. After all, many of these products rely on labels for glass bottles to make an impact on the consumer and inspire purchase with crisp, easy-to-read, and attractive graphics and text. When seeking a top-performing printer that can effectively deliver quality printing on boxes, cartons and trays, look no further than the Sauven 6000Plus. This best-of-breed ink jet machine utilizes the latest technology to provide online, high resolution capabilities that work for everything from small and large characters to bar codes and graphics. Bottom Labeling Systems Are Different! Date Coding on Water Bottles: What Machine Works Best? Every company with date coding requirements wants to select the best equipment for their specific product to assure optimum output for the surface being printed on. This is definitely the case when it comes to date coding on water bottles. With so many types of machines on the marketplace today, how does one discern which type is best for date coding on water bottles? What is a Bottle Unscrambler and How Can You Use it for Your Business? 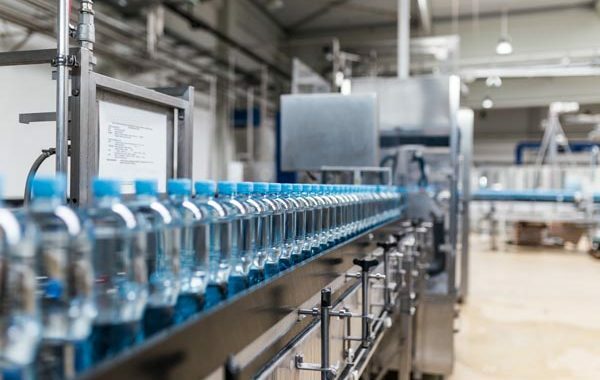 When you have a production line handling a large volume of containers that must be sorted and organized in an efficient way, a bottle unscrambler device can prove integral. Here’s an overview of bottle unscrambler technology and its benefits of use.